Surely you can guess why. Also to end use of human-figure targets, because they “promote” killing humans. Or something. Which would seriously spoil my defensive practice. I prefer a no-recoil Ruger .22 semi-auto so I always aim for the head, like any good assassin would. I’d have to empty the whole clip to have much effect on center mass. But no worries. Gun ranges will never bend the knee to these clowns. Individual shooters might. But shooters as a group? Never. 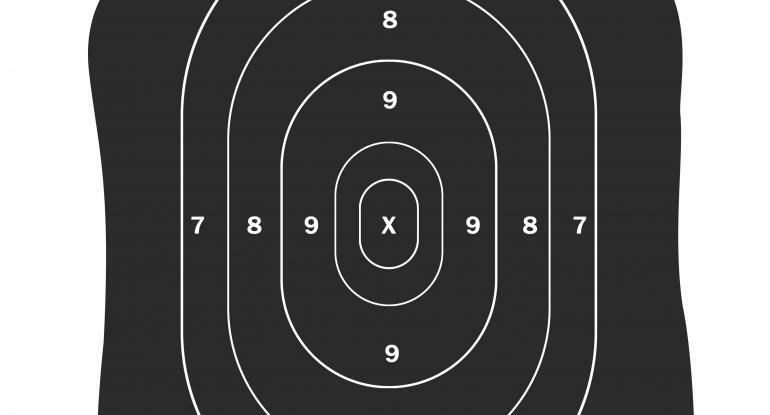 This entry was posted in Guns, Obsessions, The Culture and tagged campaign to stop use of black targets, gun ranges face PC. Bookmark the permalink. Most do. I keep a Ruger .38 at home. Just prefer the challenge of the .22, its light weight and cheap ammo for target practice.